Highly regarded as a distinctive and accomplished musician, Scottish pianist Alasdair Beatson continues to make an impact on the classical music scene. Highlights of last season included the release of his debut solo CD with SOMM Recordings, a tour with the Scottish Ensemble performing Shostakovich's Concerto for Piano, Trumpet and Strings, and his third solo recital in London's Wigmore Hall. As soloist, Alasdair received awards from the Kirckman Concert Society, the Philip and Dorothy Green (Making Music) Award for Young Artists, and in 2003 won the 2nd Prize in the China Shanghai International Piano Competition. 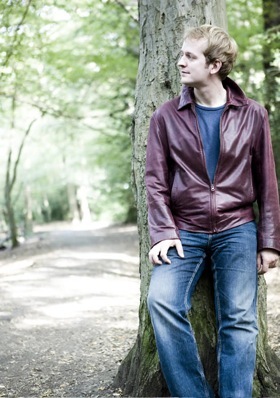 For the Park Lane Group, Alasdair gave critically acclaimed recitals at the Wigmore Hall and the Purcell Room, receiving excellent reviews in five national papers. Most recently Alasdair was named 'Rising Star' in BBC Music Magazine's July issue. A sought-after chamber musician, Alasdair was invited to join the tours of International Musicians Seminar, Prussia Cove, in the UK, and Musicians from Steans Institute, Ravinia Festival, in the USA, after his participation in their masterclasses and concerts. He was awarded major chamber and collaborative piano prizes from the Royal Over-Seas League, in addition to the ROSL Ensemble Prize for his chamber group Ensemble na Mara. Recent and forthcoming performances include a tour of New Zealand and Australia with the Royal Over-Seas League, collaborations with the Doric and Tippett String Quartets, chamber recitals in the Concertgebouw Amsterdam, and Carnegie's Weill Hall, New York, and a return to Pekka Kussisto's Chamber Music Festival in Lake Tuusula, Finland. Alasdair studied with John Blakely at the Royal College of Music, London, graduating in 2002 with First Class Honours and a Director's Golden Jubilee Award. He subsequently completed a Performer's Diploma at Indiana University, studying with Menahem Pressler. In masterclass he has played to Leon Fleisher, Alicia de Laroccha, John Lill, Murray Perahia and Ferenc Rados.